Lake George is now a sleepy hamlet known for world class fly fishing, camping and all around outdoor adventure. But it wasn’t always this way! Once it was a supplier of goods – ice and produce – for both Colorado Springs and Cripple Creek. Steve Plutt, local historian, will be speaking at the February Pikes Peak Historical Society Chautauqua and will cover these topics and more. Find out what influence the railroad had on Lake George, how the town got its name, and many more exciting tidbits of information! Steve Plutt has long lived in the shadow of Pikes Peak, having grown up in the Woodland Park Area. Steve now resides near Lake George. 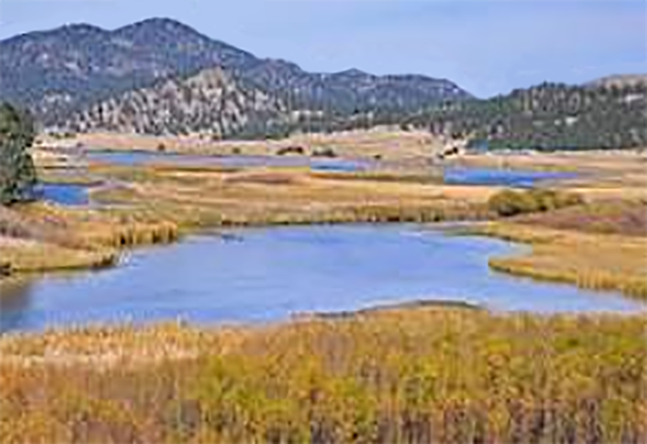 The Pikes Peak Historical Society invites you to learn more about the history of Lake George. Highway 24 just 2/10 mile west of the Ferrell Propane lot. This program is presented as a public service of the Pikes Peak Historical Society. Admission is free and refreshments are served. No reservation is required. Information: call 719-748-8259 or 719-748-3861.